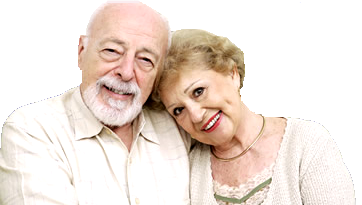 Important details about denture repair in the mail. 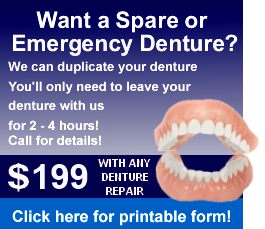 If you care about how soon you can get your denture back. In most cases; by using overnight delivery method you are actually ending up getting your denture repaired sooner than if you went to local laboratory. It does not matter what state you are from. You do not have to worry if your local dental lab is open or if they require prescription. Sometimes your denture brakes in afternoon hours and you also have to worry about traffic and if you can get to the lab on time. You also can not be sure if they provide same day repair while you wait. It is so simple with us. Print the form, ship it from your near by post office. We will receive it next day before noon. We will repair it and mail it to you back on the same day. Here is an example: if you denture broke on Monday at 5pm, you will get it back (repaired from us) by Wednesday before noon. If you care about quality of work. With 100s of dentures arriving at our lab monthly we have never lost or damaged any of them. 10 years in business with outstanding reviews and feedbacks. 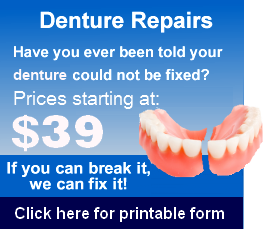 We do provide extended warranty on our services and to be safe you should get premium quality duplicate at the lowest cost with $10 discount when you get it with your denture repair service. If you care about cost. Our prices are so low; even with overnight delivery both ways you will end up paying less. 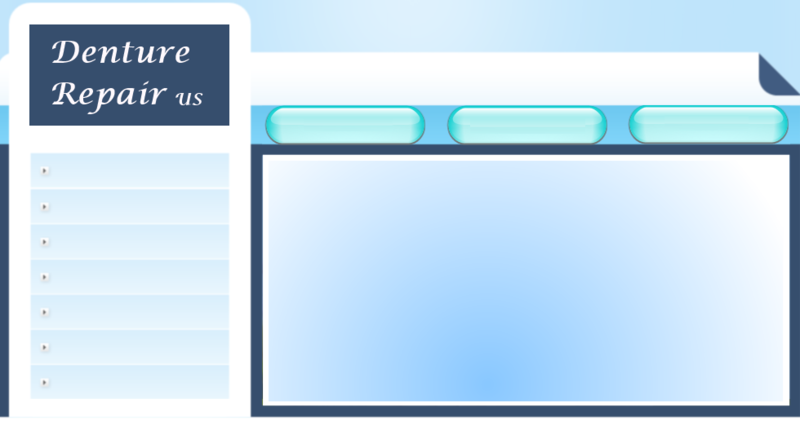 If you find a lower advertised price on other website write the website on our repair form. We will match it or beat it.